There are a wide range of glass decoration films to choose from. 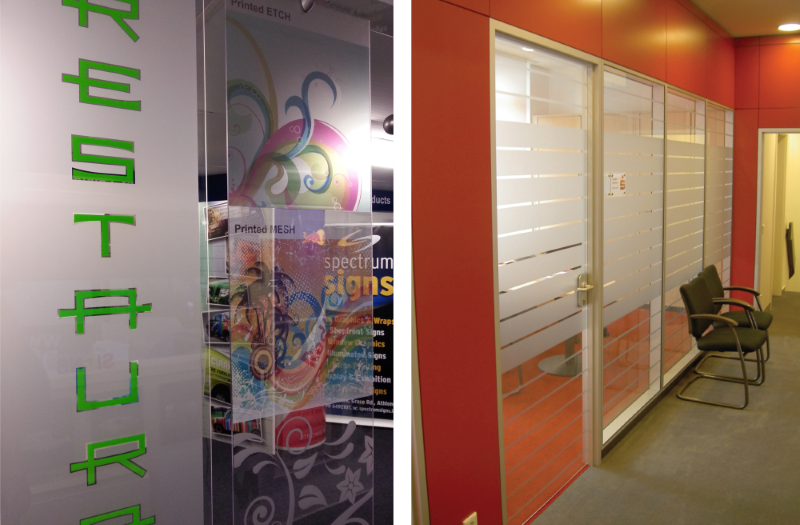 Etch or frosted film is always a popular choice because not only does it look well, but it does not restrict natural light. There are stock frosted films to choose from that offer a range of colours and varying degrees of ‘frostiness’! 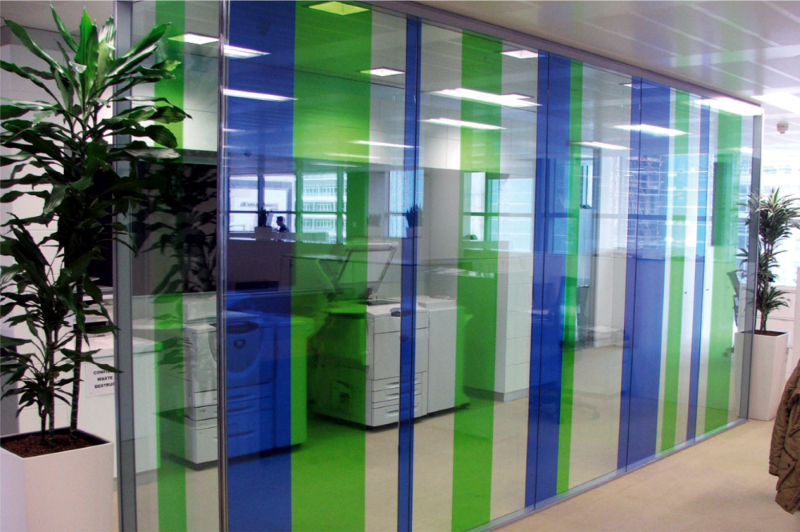 We can also print any design onto frosted films, with the colours remaining translucent and subtle. 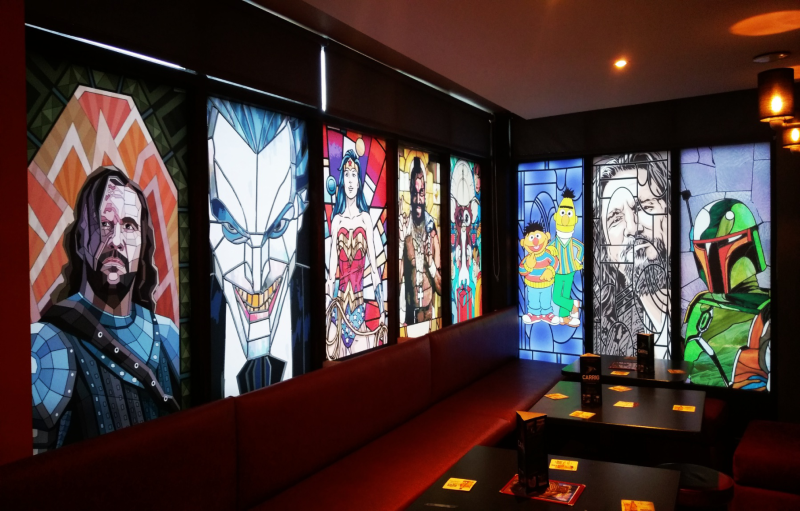 All films can be cut to any shape or design, and we can mix your window graphics with regular solid colour vinyls to add strong colour for strong impact. Fully transparent decorative films as the name suggests, gives a tinted effect while maintaining full visibility through the glass. One way vision perforated film, also called Contra Vision, is a fine mesh like material on which any image, design or promotion can be printed. It is applied to the outside of the windows and is laminated with an optically clear film to protect it. While it allows stunning graphics on the outside, from the inside they are totally invisible, allowing an unobstructed view. 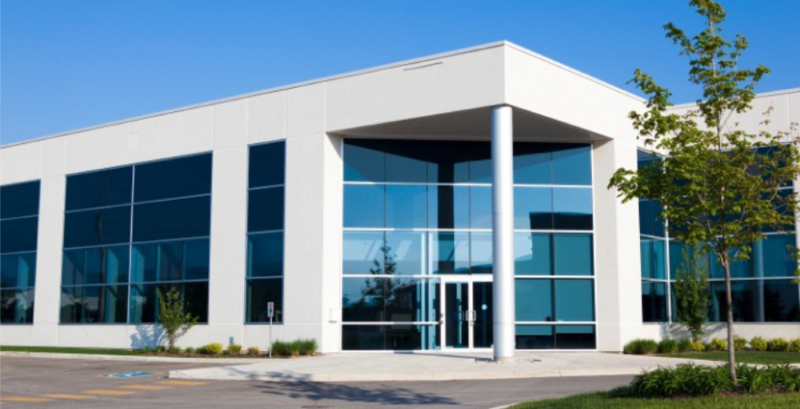 Most modern commercial buildings tend to be heavily glazed and some leave little scope for installing signage. 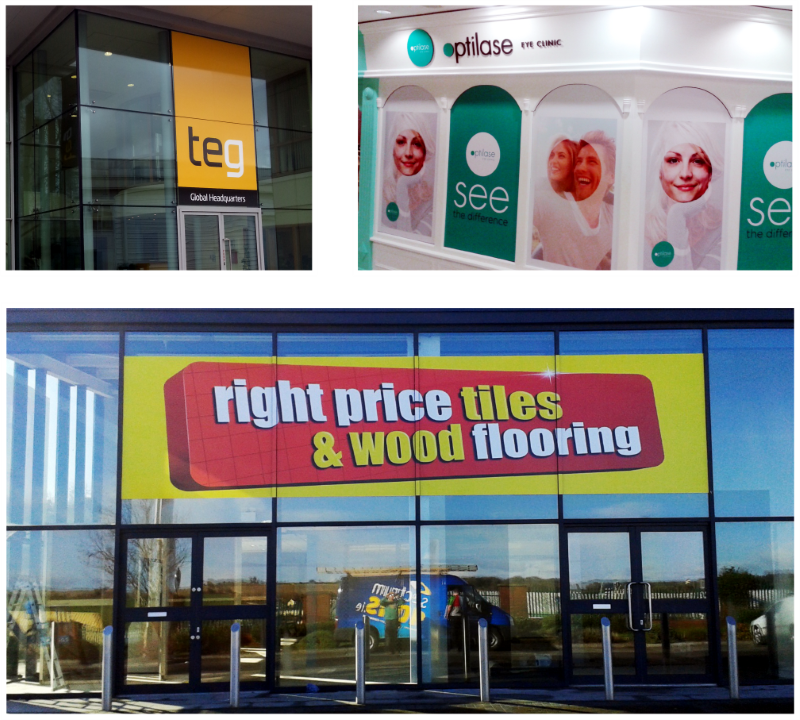 Although we build signs that will span window frames, printed window graphics offers a very viable and much more affordable solution. Printed vinyl graphics can be applied to either the inside or outside, and if installed high, your view remains unobstructed. Heat and glare from the sun is a common problem in office environments, making them uncomfortable and creating difficulty seeing computer screens. Spectrum Signs installs tinted films to windows that will reduce glare and have a cooling effect.